I worked until after 10:00 PM the other night. I don’t mind working late. In fact, I don’t mind working period. I am the opposite of Faulkner who wondered why man was the only creature who forced himself to work. To me, man works to survive; not just on a monetary level, but because he has to. When you work, when you know you are in for a long haul, there is a strange, warm sense of envelopment that rises from deep within you. It is a recognition of tasks that need to be done and, especially in world that is full of fleeting pleasures and sudden information, having a road paved with assignments and work can seem somehow nourishing. This is not to say that my work is what I want to do. I enjoy the idea of work, of accomplishing, but I do not like my job. Perhaps I deal with my job well because I am able to disassociate myself from it while I am at the office and involved with the work. “This is a separate me that is working,” I tell myself. “This isn’t me.” I’m good at compartmentalizing myself and my life. It is only when you fail to recognize yourself from the vantage points of one of those compartments that things become worrisome and you begin to feel depressed or lonely. Regardless of this philosophy of work, I left my office at ten the other night. I had been there for more than twelve hours and had not even had a chance to step outside and enjoy the mild March weather—a day that didn’t just suggested that spring was near, but stated it was imminent; stated it with the hum of bird chatter, the aroma of flowers and rain and the sun of an Easter Sunday. I left work in the warm evening and walked to Bryant Park where I hailed a cab. “Oh, I’ll take Park Avenue,” the cab driver said. We started off on 42nd Street and I saw the Empire State Building glow white over the space above Bryant Park. I immediately thought of Teju Cole’s novel Open City which I had just finished reading. I thought it was a good novel with a strong first person voice. A voice so good and so grounded in the geography of New York that it will be hard to write a good or noticeable novel about New York for about a year or two. I didn’t love the book, but it made me pause, fold corners of the pages, chuckle and want to finish it. As my cab continued down 42nd Street and people were walking along the sidewalk in tuxedos, I wondered what opera or gala had just gotten out. I work in the magazine business so people are always going to events or galas or openings. Sometimes everyone at the office gets to go, sometimes only a few of us decide to go and sometimes only a handful are allowed to go. Other times we all dress up and other times we don’t dress up at all and just get drunk and try to look nice and talk to each other in a way that reveals something slightly more than what we can exhibit in the office. 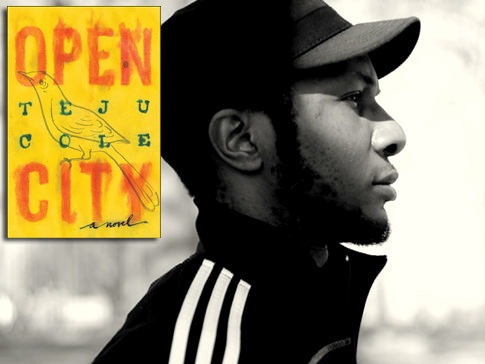 “I work in the magazine business,” I said to myself and thought of Teju Cole’s narrator. I passed office buildings where lights were still on—people work until all hours of the night. I knew that there were even still people back in my office. We were on deadline at the press and pages still had to be shipped on time. A lot of the people I work with have children; they have families or wives or fiancees. I don’t have any of those things, which makes me even more valuable. I can work late and bounce back because I am meant to use my extra energy and my desire to wander; I am meant to meander and roam and learn. Where to find Kitty’s gold. Because I’m so brave and bold. And the music soars as only the record of a behind the scenes songwriter in the 60’s knows how to make their own record soar. The notion is a childish notion of pride, pain and some kind of misguided valor. Even the whitest of music, like Dennis Linde, can lead you to find those dark places, those dark places that are just the same as Bodie’s death scene on The Wire. Bodie stands on his corner, knowing that there is a possible way out of the Game, but also knowing that his time is up and is gunned down by Snoop and Chris. In that moment, Bodie is brave and bold, yet ignorant and foolish. It is the death of a pawn, but even in that sort of death there is some base heroism, some acknowledgement that the character was truly alive for that moment, perhaps more alive and aware than he had ever been; even if his decision is based on ignorant pride. Work and being beaten are similar and more than just for the obvious reasons. There is a certain martyrdom in work and in a situation like Bodie’s death. And very often, work comes down to who makes the best martyr and who gets caught doing their best impression of being a martyr. Work, no matter what kind, is the world of the ego, but when you suppress it, suppress the want to be a public martyr, then you can accomplish things, then you are getting things done, then you walk out into the air of the evening and do not feel fatigued or defeated. Working twelve hours a day is not healthy or what humans were meant to do, but some things require more work; and sometimes we just get carried away. By the time we reached Greenwich Village I nearly had my head out the window to smell the fresh air. “Heaven Must Be Missing An Angel” came on the radio and my cab driver started humming and mumbling the words in an attempted falsetto. I smiled and nodded and appreciated his enthusiasm, because I would’ve been humming and singing along to a cheesy 70’s or 60’s song if I were driving in Manhattan or anywhere else. It’s the only way to stay truly sane. I continued to smell the fresh air through the open window and I thought for a moment about the approaching spring and about love and about how it was lacking from my life. We stopped at a light and I saw a boyish looking woman leaning on some green scaffolding in shorts and a long sleeve shirt. She was crookedly wearing a tweed hat on her head. My stomach dropped and I mumbled, “Dear God, the summer is almost here.” I thought about the oppressive New York heat; the short socks and sneakers; khaki shorts stained with roof tar; sweating bottles of beer and the long, glorious nights where you stay out late because its hotter in your apartment than it is out on the streets and there is more to see and listen to outside anyway and you might just be there when things in the city start to get quiet. And thinking of all that, my indecisive heart, which can never decide if it wants to be understood and loved or misunderstood and alone, grew faint with expectation. I didn’t want to say goodbye to the leaning, huddled postures of winter. The cab started again and we left the boyish woman behind. I remembered it was still the beginning of March—I had still had an NCAA Tournament and another two full months of NBA basketball left to sit through before the summer actually started. Spring was just beginning. We crossed the East River over the Brooklyn Bridge and, as we rose, I saw blinking lights on the buildings and realized that things would be changing with the spring and even that oncoming summer. I thought of where my friends were and what they were doing out in the world—of all the different things they were embarking on—and felt a great sense of happiness. I thought of a co-worker of mine who was pregnant and of whom I was very fond. She would be leaving our office in the upcoming weeks and that made me feel slightly sad, but not for anything palpable. When I thought of her leaving, I only had the dim phrase “that’s the way it was” followed by purple-grey images of activity in my office flashing through my mind. Red Hook dully shimmered along the water and I decided that I would get her a gift certificate to Mile End as a going away gift. She was a vegetarian, but she was pregnant and I knew that she would be craving some kind of brisket at some point. It was a nice idea and I was going to do it. The cab dropped me off at my apartment. I paid and kept the receipt and got out into the still night. In the school across the street, the light of the recessed gymnasium was still on. The gate to the school was still open. I walked over, my work shoes clacking on the cement and my hands stuck firmly in my pockets, and looked into the gym. There was no one on the basketball court. The wood floor looked pristine through the slightly dusty windows. I looked around, hoping there was a janitor finishing off his shift. I had about sixty dollars in my wallet and three Miller High Lifes in my fridge and I figured a bribe for court time might be worked out somehow. Like a struggling shooter, I could have used the solace of an empty gym and the sound of nylon on a spring night, but there was nobody there. I shook my head and went back to my apartment to go to sleep. I climbed the silent staircase and knew the next day would indeed be another long one. The next morning was even warmer than the one before it. The shouts of the children being dropped off at school came in through my open window as I drank coffee and prepared for work. I rode the subway next to a woman wearing headphones and felt some kind of magnetic attraction to her. She was wearing a nice coat and was young; I was wearing a nice coat and was young and our bodies seemed to fit snugly next to each other against the crowd. But my heart is weak and indecisive and I am interested in a lot of things that seem to happen rapidly; too fast for me to decide if I even want them for a moment. As I got off the subway at Bryant Park, I turned on “Lawyers, Guns and Money” by Warren Zevon and climbed the stairs back to the surface. The world was full of light and mild air. People walked with purpose towards and away from the park, finding their way to work or some museum of the day. And, with my hair combed into place, I strode along 42nd Street in time with the drums and the driven, sinister guitar of the song. I felt alive and invincible and like I could overtake and bring down any of the finance buildings that stood above me; like I could take on anyone or anything. The song marched on and Zevon snapped, “Well, I’m down on my luck.” With the sun shining and my reflection gleaming from tinted office windows, I knew exactly what he was talking about as I approached another day at work. "Work, no matter what kind, is the world of the ego, but when you suppress it, suppress the want to be a public martyr, then you can accomplish things, then you are getting things done, then you walk out into the air of the evening and do not feel fatigued or defeated." I'm quite familiar with this feeling, well said.